Playing strategy games can be quite fun, especially for users that like to test their skills and push themselves to the limit, thinking fast and hard in order to protect themselves and destroy the enemy. Because of the popularity of these games, finding the most challenging and exciting one is not easy. Luckily for all of you, we did our research and we discovered one incredibly interesting strategy game that all of you strategy players need to try it. 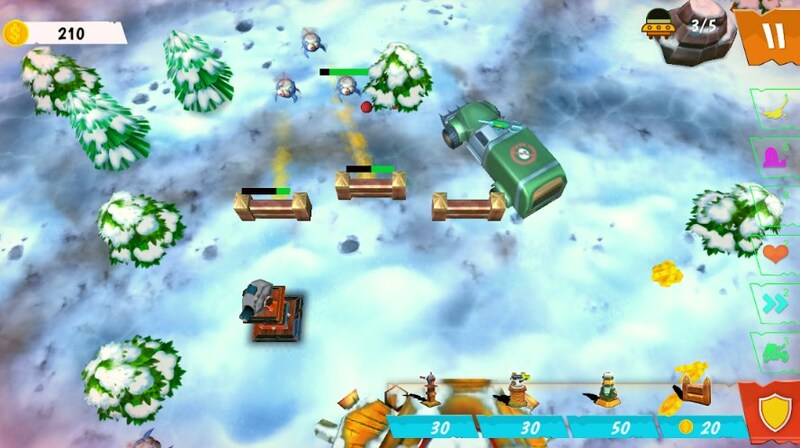 Scrap 'Em is developed for Android and iOS users, for all lovers of strategy games. You will get to push your strategy skills to its limits as you try to protect your safe house from the alien invasion. The gorgeous sharp graphics and the exciting sounds will make the game even more interesting while you try to build your defense, think strategically in order to protect your safe house and use your vehicles to move around the map and find the aliens in order to run them over before they get to you.